Ben Nagy's Big Picture - Why does Blizzard Focus on Tournament Play? With BlizzCon Opening Week behind us, and the festivities in full swing later this week, we're going to see a lot of tournament-level play. The StarCraft and Heroes of the Storm games are going to look the same as they always do if you tune into a Twitch match of the games, with a few more exciting twists and better performance, of course. But Hearthstone games will likely look notably different. You'll see new decks you haven't seen before, or familiar decks that have a few cards replaced to match the "tournament-specific metagame." This is because playing in a tournament is vastly different than playing on the ladder, and even further removed (obviously) from Arena. As ADWTCA pointed out in a snippet from last week's article, the Warsong Commander nerf hurt Warrior's Arena presence, and was upset that Blizzard was paying much more attention to the tournament scene than to Arena players. Is the idea that Blizzard cares more about tournament and high-level ladder play accurate? And if so, is it justified? Welcome to Ben Nagy's Big Picture, where we will look at how new cards/sets, various aspects of Hearthstone, and changes in the metagame reflect how Hearthstone is positioned against other games in the genre, and what that means for the future of the game. You'll get a game designer's perspective on how Hearthstone is being built from the ground up, which will help with your understanding of the changes Blizzard makes, as well as become more skilled at playing. With the help of these articles, you'll be able to see deeper into how Hearthstone ticks, impress your friends with your pro-level knowledge, opinions, and perspective on the Hearthstone game, and be the go-to guy in your circle for keeping up-to-date with commentary on the latest events in the world of Hearthstone. The first is obviously the cards themselves. CCGs are unique in the sense that the bulk of the games' rules are written on the pieces themselves. This means that the game you play is different every time, depending on what cards you bring to the game, and what cards your opponent brings. When you slap together a deck of 30 cards, you are playing one specific game, with one set of rules. When you replace a few of those cards, or even play the same deck against an opponent with a different deck, the game that you are playing is fundamentally different. Imagine if you played Monopoly a few times with your family in a night. If you play the game and remove certain properties from the board, the game will play differently, as will the rules you use when playing against Uncle Pete versus your three-year-old cousin. On the flip side, if you play the same game of Monopoly three times in a row against the same people who all use the same strategy, you will likely get bored, as there has been very little variation in play other than the roll of the die. The cards in Hearthstone are what makes the game interesting and new every time you start it up. The second cog is the mode (or sometimes format) in which you are playing. For example, in Magic, playing a draft game (similar to Arena) is going to be very different than playing with a constructed deck (like Ladder or Casual). Playing a Modern format (using Magic cards from 2003 to now) would be different than playing Legacy (having access to every card made since 1993). Casual/Low-Level Ranked These two are negligibly different as they both have roughly the same player-base and purpose. Build a deck, experiment a bit, and it doesn't usually matter too much whether you win or lose, because you're having fun with the cards given you and the imagination you place into your decks. The players who most often find themselves playing the majority of their games in this category usually enjoy creating synergy decks or combo decks that aren't consistent enough for high-level play, but the enjoyment factor here comes from that once in every ten games where everything cool you could have wanted happens, leaving you content that you've demonstrated your idea. High-Level Ranked/Tournaments By the time you get to high-level ranked play on the ladder, these players want to prove they can make it. They usually study the game, review the top decks, and create strategies to beat their opponents in the most efficient ways possible, so that they can climb to the top and show people they are "the best." Decks made for this format are made for one purpose: to win. Note that I didn't include mid-level ranked as a mode, because usually, people in the bulk of ranked Ladder play are either playing low-level ranked games, and have gotten lucky or a mid-quality "cool" deck, or are players striving for high-level play, who haven't learned all the skills necessary to "make it" consistently, or simply don't have the cards necessary to build the top decks. Arena The Arena mode is a highly skill-intensive mode where players are building their decks from scratch, from a pool of options. Where in high-ranked play, players have the luxury of choosing what they believe are the "best" options, Arena forces players to choose what they believe are the "better" options. Because you have less control over which cards you are placing in your deck, nerfs are particularly dangerous for Arena play. What once was an imperfect but doable option when presented with cards to choose from, nerfed cards can be placed severely below their former power level, where they usually weren't "overpowered" anyway. Tavern Brawl The newest mode to Hearthstone offers a lot of variability in play from your normal "build a deck" routine. Probably the most "for fun" mode, Brawl offers new rules on a weekly basis. The full depth of where they can take Brawl, however, hasn't yet been demonstrated. Brawl, I imagine, appeals to most Hearthstone Players on some level. For our discussion today, we're going to look at the two most disparate modes (excluding Brawl for obvious reasons): High-Level Ranked/Tournament play, and Arena. What's the Big Deal Between High-Level Constructed Play and Arena? Both high-level play and Arena appeal strongly to highly skilled players. Take for example Trump and his discussions of "Value Town," particularly in Arena. Or obviously, the level of skill that Firebat had to display in order to take last year's Hearthstone World Championship. So, since both of these game modes appeal to the most heavily enfranchised players, why does Blizzard prioritize nerfs and card designs aimed (primarily, though certainly not exclusively) at the tournament scene? Cards can be considered unique to different modes, either because they were designed specifically for that mode (try creating a combo-style deck in Arena; it won't work), or have different value in the different modes (I can't remember the last time I saw Chillwind Yeti in a tournament-level deck, but it's fantastic in Arena). 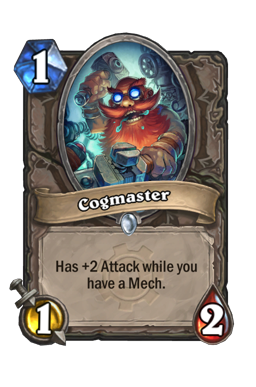 So, going back to our discussion of cogs, high-level play and Arena can easily be seen as virtually two different games, each using a number of shared rules and mechanics in the form of cards. That's a lot of work for Blizzard to keep track of: designing two unique games that each have a number of restrictions in the form of required components! But this problem is nothing new to CCG designers. Look at other games like Magic, SolForge, Hex, etc. Most CCGs have a drafting mode similar to Arena in which players are restricted in which cards they build a deck with, from a random pool. These games design refreshing cards that can be seen predominantly in either format, and sometimes in both constructed and what we call limited formats. 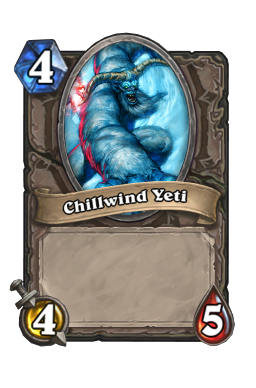 Hearthstone does have a large variety of excellent cards that are perfect for Arena specifically, such as the aforementioned Chillwind Yeti or DarkIron Dwarf. But most of these cards were designed for the Base Set, and we haven't seen a significant amount of new Arena-focused cards, so the percentage of them in the card pool we wind up with in Arena is lower. So where is the disconnect in priorities when it comes to Hearthstone specifically? The two biggest disconnects between Arena and High-Level play are in the way official tournaments are structured and how Hearthstone views its rarities. The easiest one to tackle first is the issue of rarity. Hearthstone is a very complex game, as are all CCGs. And arguably the best way to make a complex game easy to understand is to keep players from having to learn about and interact with most of the complex pieces all at once. Take a look at Hearthstone cards, or any good CCG for that matter, and you will usually find that the most complex cards are located at the higher rarities, and the cards that easiest to understand are at lower rarities. Note that this doesn't have as much to do with power level, though that can play a factor, but is primarily in regards to complexity. 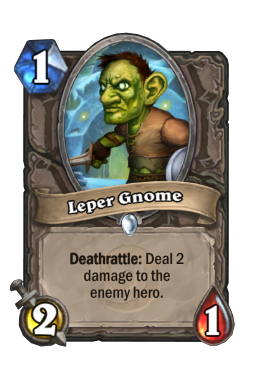 There are tons of very high-powered but low-rarity cards such as Leper Gnome and Knife Juggler that will consistently see play in a variety of decks. 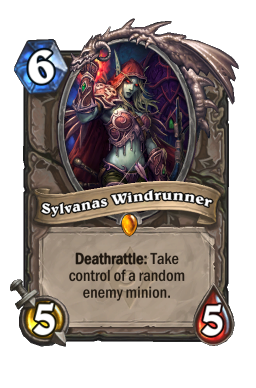 Compare those to Sylvanas Windrunner which has a very difficult ability to use correctly. Sylvanas has a number of complex interactions with both what your opponent may have in hand and even what you can do to use it to your greatest advantage (such as the concept of killing your own minion)! If you remember back to your earliest days in Hearthstone, before you started buying a bunch of packs, exploring Naxxramas, or grinding through Arena, you had very few high rarity cards (and very few cards altogether for that matter). This was carefully balanced so that you would not be overwhelmed by too much new content and too many additional strategies and concepts that you would have to learn right at the beginning. Becoming good at a CCG like Hearthstone takes time and dedication to earn the cards you need as well as learn the proper strategies to use them effectively. This is very important to Arena, as the cards that are listed at common need to be of an appropriate power level to give your deck steam because they are going to be seen the most often. This paired with the complexity issue begs the question of how to balance these two aspects of the cards' rarities. The issue for Blizzard designers is made even more difficult because they also have to worry about crafting costs, meaning that a card's rarity also relates directly to how available it will be to newer players. This is an even stronger correlation between rarity and availability than in other non-digital CCG games like Magic. At the end of the day, when looking at a card's rarity, balancing will be given priority to constructed play here, because that is how most players will interact with the game (especially starting out with their earliest games), and the developers want to be cognizant of the complexity these players will run into. Raising the power level of (let's say) "Rare" cards might help Arena be more dynamic, but weakens the quality of games on the Ladder, as players can easily craft more powerful cards which throws the balance out of whack. As evidenced by the events of BlizzCon, Blizzard is all about tournaments, which is the right move to make. From a marketing perspective, high-profile events like BlizzCon get viewers for their games that perhaps don't normally play those games. I don't play StarCraft at any skill level, but I'll certainly tune into a World Championship tournament for the excitement level and interesting plays. And afterwards, I usually feel like booting up the game and playing a little. At least until I remember how bad I am at the game. But the same is true for Hearthstone, which is particularly important for a game in which players will be likely to toss in a few bucks to buy a couple packs because they were inspired to try the decks that they saw the pros playing. This puts extra emphasis on a few top decks that viewers will likely see many of the pros playing again and again. Making sure that these few high-priority decks, and the cards that are in them, are exciting and engaging to watch is obviously a major goal for the Blizzard designers. 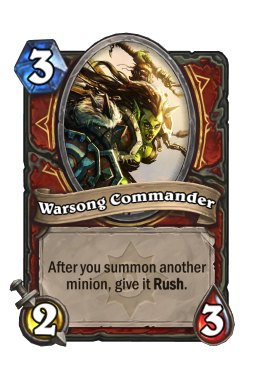 This prompts the direction of new sets as well as other changes to the game such as the recent Warsong Commander nerf. This slights Arena because the priority, by necessity, needs to fall on a different mode of play. Casual players can easily be sated by cool cards and combinations that don't need to be balanced for competitive play. And Brawl... is its own thing and doesn't require any specific card-gearing. Arena is then left without the same level of care as tournament play. To reiterate, before you start sending messages to Blizzard, that Arena is more a victim of circumstances than a target of Blizzard designers. The frustration of the many Arena players who are bored of a stale Arena-specific metagame are the ones who want the Arena playing field to be on equal ground as tournament-level play, with a variety of cards designed just for them. 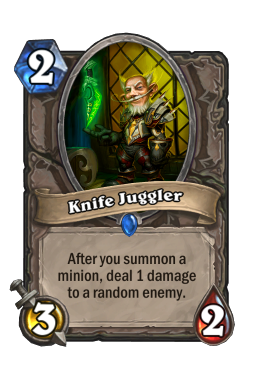 This would make Arena more engaging, and more viable as a means of skill testing than it currently is. I have three main recommendations that could help alleviate some of the frustration of tournament play being given more attention and priority over Arena. Note that these won't perfectly solve the issue, as Arena cannot be the same priority as tournament play for the reasons already stated. "Fix" the number of cards of each rarity in an Arena run. Part of how other games like Magic balance the rarity concern is that players are given equal access to a set number of cards of each rarity. (For those familiar with Magic, I'm discussing sealed, not drafting, since you don't have to worry about other players when picking cards in Arena.) Hearthstone currently gives you a random pool of cards, and though you are more likely to run into Common cards than Legendary ones, the exact proportion isn't set in stone, which means that decks will have varying access to powerful cards. As we already discussed, powerful cards can come in all rarities, but a more even landscape (and perhaps more access to higher rarity cards) such as guaranteeing 2 Legends, 5 Epics, 8 Rares, and 15 Commons, as rough numbers, would dramatically help the quality of Arena decks, and give players a better, more balanced mode. Restrict the Arena format. Arena is current very broad and open in that you will choose from 90 cards (some of which will be duplicates) across the entire selection of Hearthstone cards. A stronger meta in Arena would be present in Arena if it was a restricted format as it is in other games. For example, Arena could restrict itself by only pulling cards from a single set, such as The Grand Tournament. This would place a higher emphasis on each set to be deliberately designed for limited play and allows the designers to set up other opportunities such as a month of only playing with the new set, so players would be more familiar with the new cards. This would also incentivize more players to join in Arena. In a sense, they have already experimented with this some in Tavern Brawl, so I expect it would work marvelously in Arena as well, though formats would be better served by sticking around for a month rather than a week. Make Arena part of tournaments. There is no "friend matching" system for Arena, because if there was, everyone would soon boast a 12-win record. This prohibits players from hosting their own tournaments using Arena as a platform. Arena in its current form wouldn't be terribly balanced for tournament play anyways, as it is too random to provide a consistent measure as we look for in constructed tournaments. But with the above suggestions and some work, Arena could become a solid tournament staple, as it is in other CCGs. Arena has been an underdog for quite a while, but not without reason. This week examined why some things just have to be the way they are. But that doesn't mean those things can't be improved upon to provide a better experience. A healthier Hearthstone is a game in which every player can find a mode or format that they enjoy, and be able to demonstrate their skills and continue to learn more about such an awesome game. With this week of tournaments ahead, I hope that you are able to look critically at the tournament scene, and just how much it does for the game. Next week, we'll look at tournament methods such as Conquest, and where they fit into the "Big Picture." - Ben Nagy I want to engage you readers in this week's article. What has your experience been in Arena? Do you see a need for improvement, or is it fine as-is? If you do think it needs to be improved, what suggestions would you have for Blizzard designers? Leave your answers and any questions you may have in the Comments below!